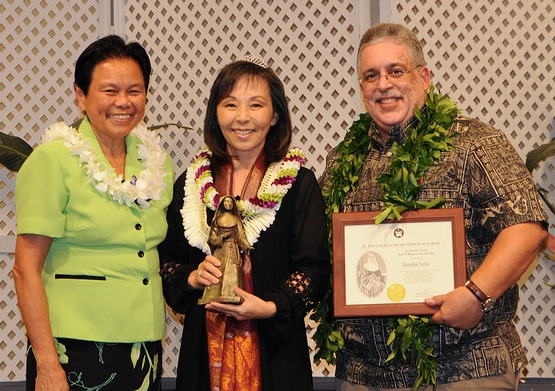 Congratulations to Maylynn Wong, Manager – Volunteer Programs, and Caregiver Training Coordinator (above) and Mincha Saito, St. Francis Hospice Social Worker (below), for their outstanding professionalism and commitment to service. They were awarded Saint Marianne Cope Awards for exemplifying St. Francis Healthcare System’s core values — joy, simplicity, peacemaking, and charity — in their work with patients, families, volunteers, employees and others. 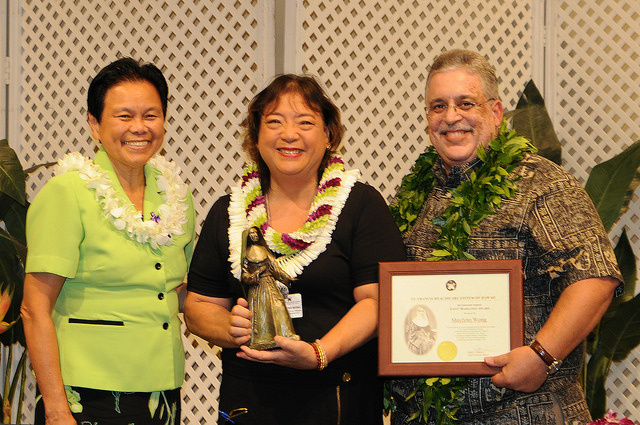 The St. Francis Healthcare System ‘ohana is proud of them! Congratulations!